The Autumn design for Mrs Baxter’s seasonal tea cosies unveiled. I am fortunate to have a mother who is good with her hands. 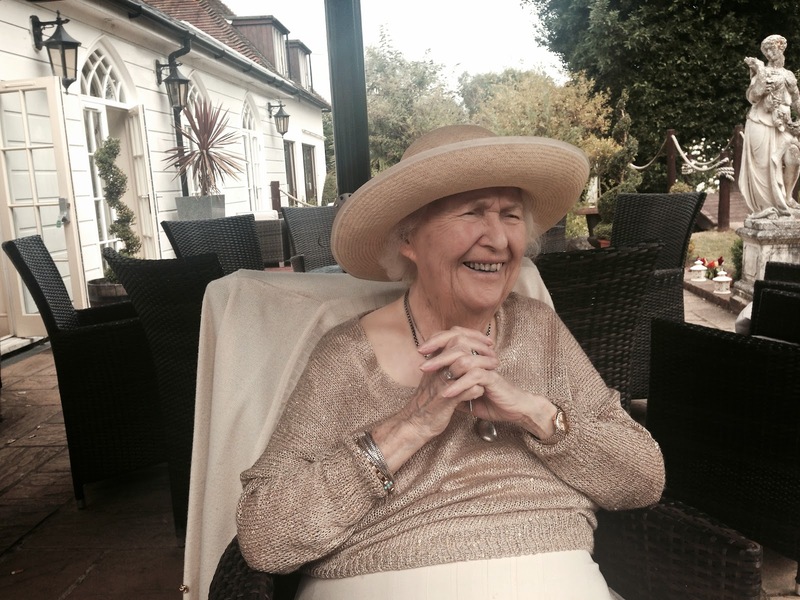 Mine, Mrs Irene Baxter (formerly Irene Bell), on the verge of a very significant birthday, is still designing and making knitted and crocheted garments and other things such as the now traditional seasonal tea cosies that she produces for me in time for each season of the year. 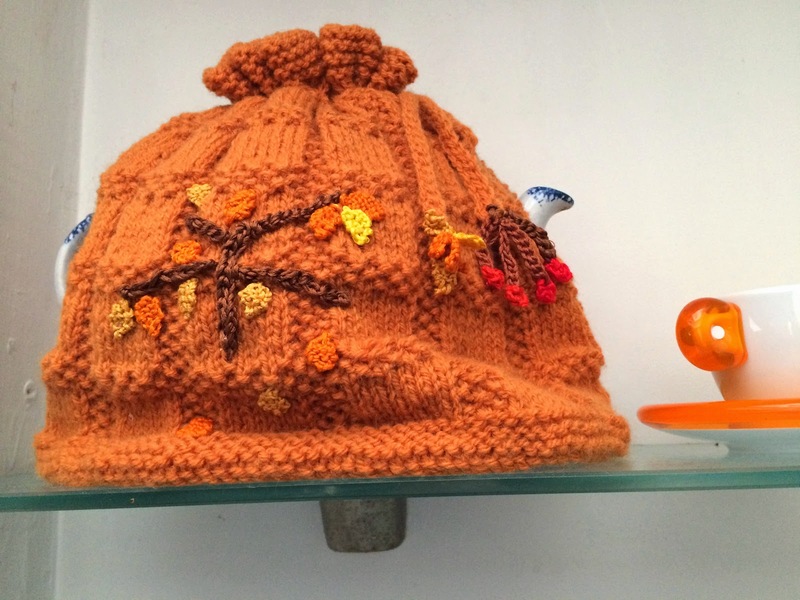 Yesterday, summer turned into autumn, and so, in my household, this year’s summer cosy has been replaced by a new design for autumn. I think you will see that mrs Baxter’s imagination and dexterity show now sign of tiring. A good way to start Autumn. Good Lord – that's quite an industry that she has got going there – a ne3w design every season! Are you the sole recipient or does the rest of the family get a look-in? 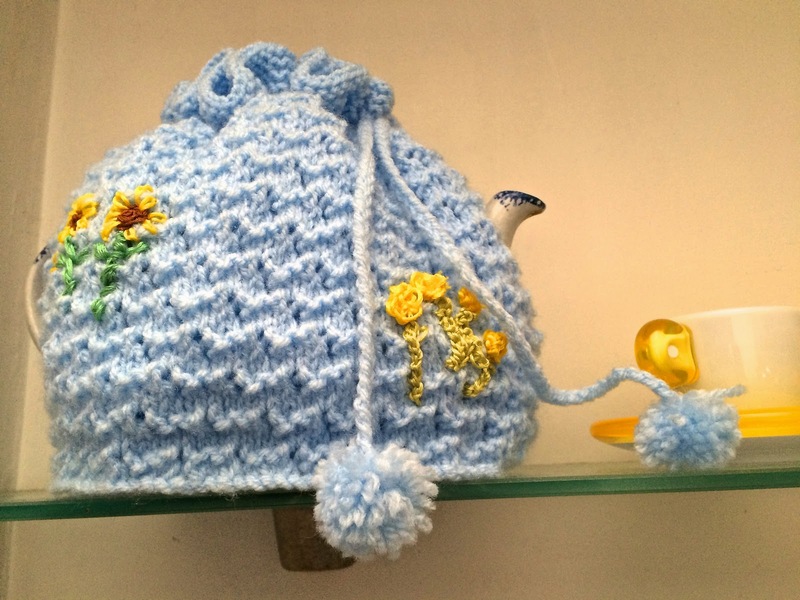 With the apparent demise of the teapot, the art of the tea cosy is at risk. Good for Mrs B for keeping it going. What do you do with last season's? Do you have a collection? Pleased you like them Claudio. She does them just for me because I suggested the idea to her a few years ago and it inspired her to do these seasonal variations. I know have two sets including a Christmas special. I think it's a bit like changing altar clothes in church. Christmas special? It makes it sound like 'The Two Ronnies' rather than extreme knitting. Knitting can achieve almost anything, Claudio! Hey, it’s Summertime in Lewes. Joachim Raff celebrates Autumn with his last symphony.